Crawford Falls, also referred to as Canyon Falls Park, is located at the top of the Crawford Estate subdivision. Although the short hike can be a bit challenging, it is well worth your time to visit. It is a steep climb up, and down the falls. Once you get to the base of the first set of falls, you will have several great vantage points for pictures. To get to the next larger set of falls, you will need to climb the small rock face to left of the falls, aided by the provided ropes. Once on top, follow the trails through the growth to the bigger falls. It is suggested that you have good hiking shoes. Dogs are not allowed on this trail. 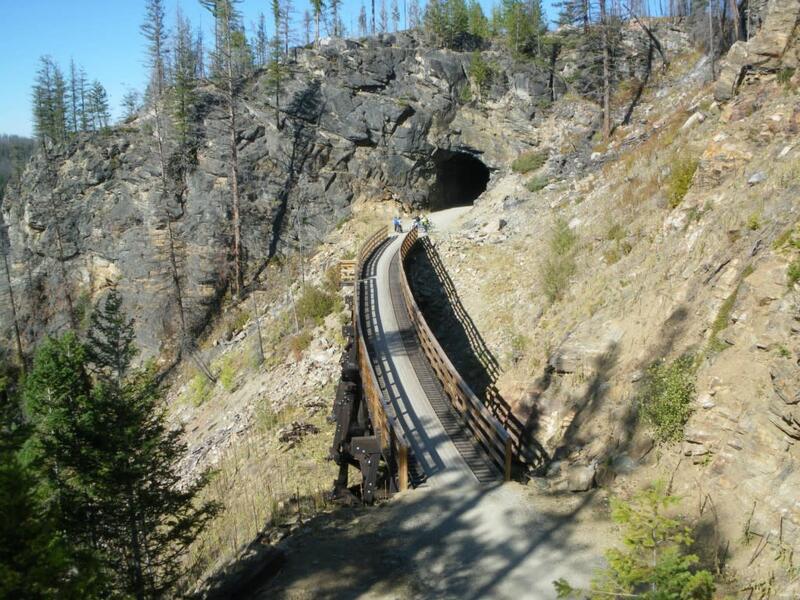 One of the tunnels and trestles of the Myra Canyon section of the Kettle Valley Railway. 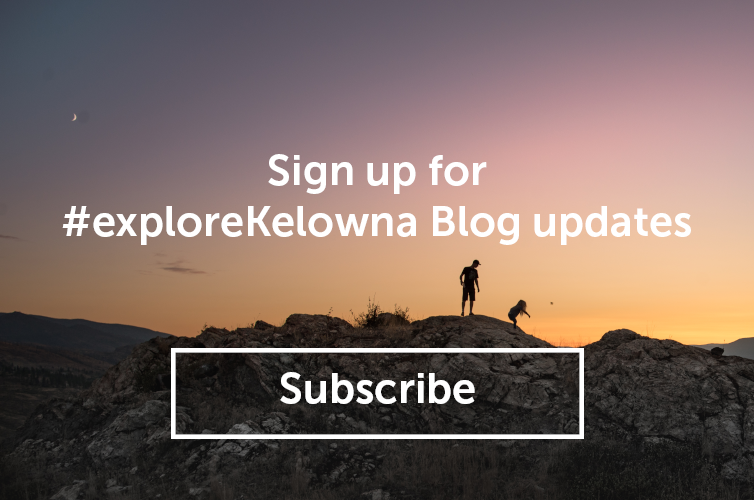 The Kettle Valley Railway is a multi-use recreational landmark that attracts both cyclists and hikers. One of the most popular parts of the railway is the section through Myra Canyon. Myra Canyon is located south of Kelowna on Okanagan Mountain. This trail is a great ride for cyclists of all abilities, and offers hiking enthusiasts astounding views of surrounding areas. The hike is estimated 12km out and back. Dogs are allowed on this trail. 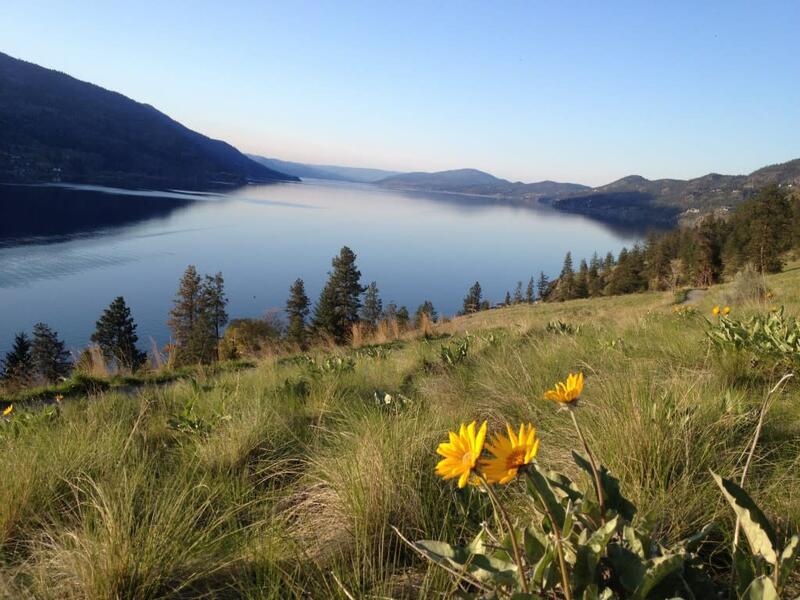 Arguably Kelownas most popular hiking trail, Knox Mountain is situated at the end of Ellis Street. Parking is available at the bottom of the mountain, at the mid point also known as Crown Lookout, and even parking available at the top. The mountain consists of various degrees of hiking trail difficulty, which makes Knox a destination for any age demographic. Other perks include tennis courts, Frisbee golf, and cliff diving/beach situated at Pauls Tomb (2km hike). Dogs are allowed on this trail. Spring beauty on Knox Mountain, circa April. 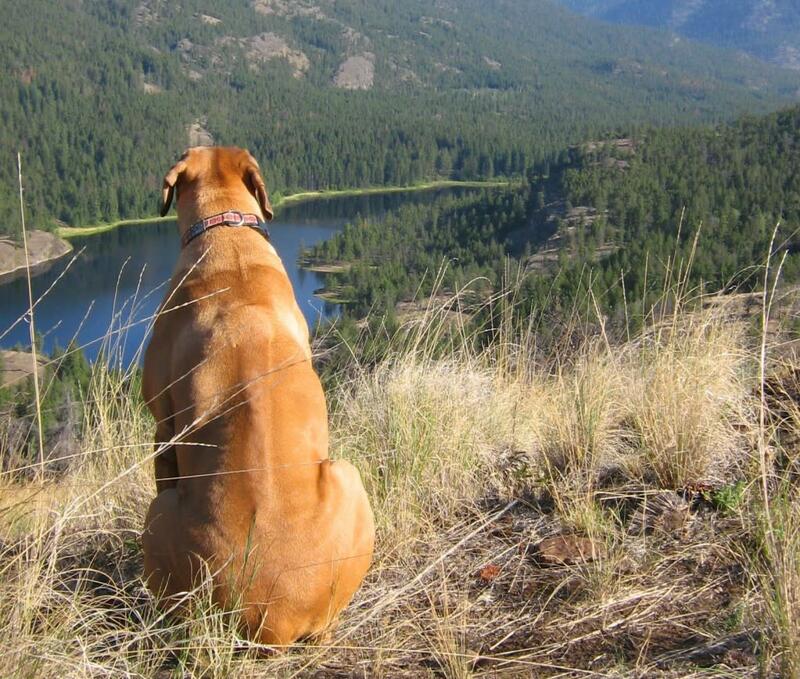 This hike begins at Little White Forestry Service Road in East Kelowna. Angel Springs is located in Myra Bellevue Provincial Park located south of Kelowna, and the trailhead is located on the east side of Little White Forest Service Road. The 7.5km trail starts with a moderate incline for the first 1.5km, then tapers off to an easy trail walk. Though the springs arent for bathing, the geological formations and mineral deposits serve as an interesting sight for many hikers. Angel Springs can be quite cool during springtime due to mountain runoff, and it is suggested to visit during summer months. Dogs are allowed on this trail.